I have always knew that batteries needed to be maintained. I have preached this for years. 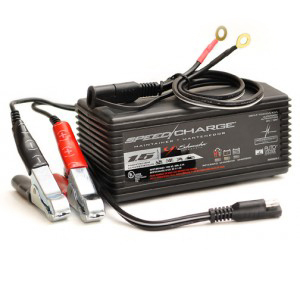 Now it’s getting much easier than before because of the battery maintainers available. 1 amp or trickle chargers will destroy a battery if left unattended. Quality battery maintainer’s do not. They can be hooked up 24/7. HEI carries a variety of quality maintainer’s as well as different plug assembly’s for hooking up multiple batteries at once. Yes, you can maintain more than one battery at a time with one maintainer. It is so critical that the battery does not sit in a discharged state. What’s is considered discharged you ask? Discharged is 11.9 to 12.1 volts, at this point it is considered to only have 50 to 60% of the battery charged. At this state of charge the battery can start to sulfate. This is when the electrolyte is turning to water in wet batteries. They can also freeze being left this way. AGM and GELL cell batteries require a charger that is compatible with that type of battery. However, if the battery is fully charged you can safely hook it to a maintainer to keep it charged and ready to go. Remember, batteries have to be maintained and keeping them cleaned and charged is the only way to get the most out of your batteries. And during the cold months where starting our vehicles takes even more out of our batteries it’s even more important. And don’t forget about your equipment that doesn’t get used much throughout the year!